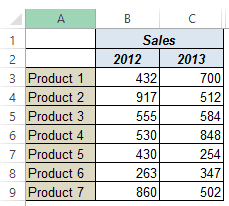 If I plot 2013 data only, it won’t tell us how much the sales of a product have increased/decreased over the last year. However, I can do this by changing the chart data label to show the YoY change. To do this, we first need to modify our data set a bit. That’s it!! You would have your chart ready. Color Negative Chart Data Labels in Red with a downward arrow. 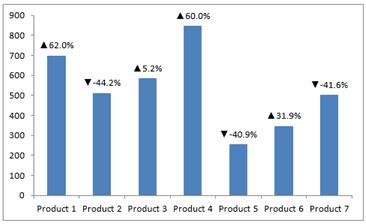 Creating Pareto Chart in Excel (Simple + Interactive). 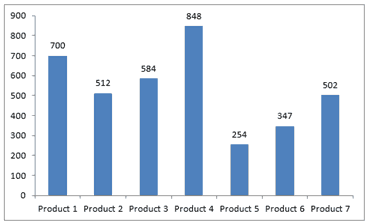 How to Spot Data Point in Excel Scatter Chart. How to Type Degree Symbol in Excel. How to Insert Bullets in Excel. 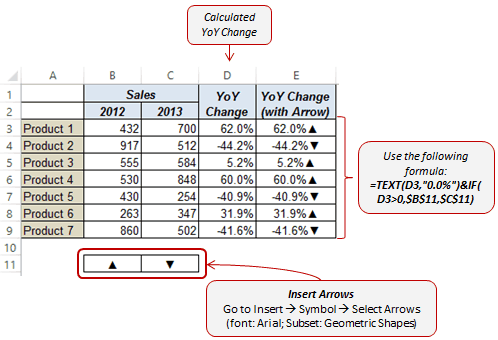 Adding Trendlines in Excel Charts. Hi Sumit, Thanks for the amazing video. I just had a confusion, can you help me in adding the colored up and down arrow in the chart, currently it only black in color. 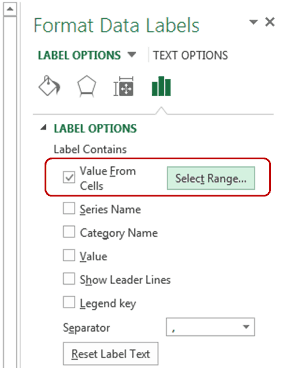 Can you insert the arrow symbol in Excel 2007? I can’t figure out how to insert the arrow symbols (see dialog in attached picture) but if I copy the arrows from your example file into 2007 it works perfectly! thanks alot for the tip. i have a bubble chart and would like to add trend up / down arrows against the bubbles to denote if there is a increase or decrease in the value. This is a cool trick! I’ve used it several times. However, it is very tedious to go over each data label to change it. Do you have some VBA code to change the labels automatically? There’s an add-in that you can use for scatterplots (X-Y plots) but I’m not aware of any add-ins for column charts. This is a very clever trick. Excel never stops to amaze me.